If you are all set to transform your life in 2018, then the first step to do that is by giving your home a makeover. Your home reflects your personality, but it can also influence it as well. The right colours in your home decor can make you more peaceful, productive and happy. Your home is your sanctuary, the one place you can come to for comfort. By choosing a beautiful colour palette to deck out your home with, you can turn your home into the perfect haven to unwind in. These colour palettes are set to become immensely popular in 2018 for home decor and renovation ideas and are already adored by interior designers everywhere. Find out how you can take inspiration from them and incorporate the same themes in your own home. If there’s one shade that encapsulates this entire theme, it would be caliente. 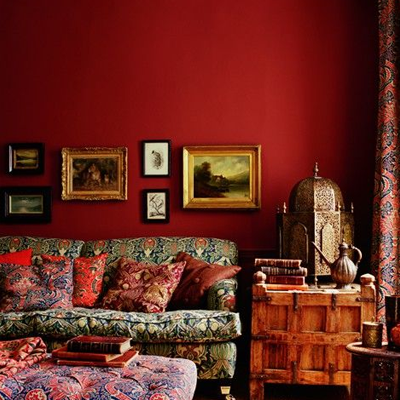 Nothing embodies the raw passion and vitality like this intense shade of red. Make no mistake, this shade is not for the faint of heart. However, when paired with a mix of neutrals and fire shades, caliente can work beautifully in almost any room of your house. Shades like burnt orange and mustard yellows accentuate this vibrant red, while neutrals like ocean grey and light beiges balance it out. You can paint your focal wall caliente, while choosing other shades within the palette for the other items in your room. Caliente is also a brilliant choice for your kitchen cabinets, as nothing can liven up your kitchen quite like it. For a high-impact touch, you can even paint your front door in caliente with a glossy finish to create an impression before guests even enter your home. 2018 is all about taking inspiration from nature and incorporating it into your home. When you think of the great outdoors, usually the first scene that comes to mind is a lush wooded forest. Use colours that you would naturally find in a natural setting like this to create a cohesive colour theme in your home. Forest greens, browns, dull yellows and even plums work beautifully together. When paired with each other, these shades add a special warmth to the room, making it instantly seem cosier. You could keep your walls neutral while using a dark green carpet to mimic the forest floor, dark brown couches and woodsy accents strewn across the room. 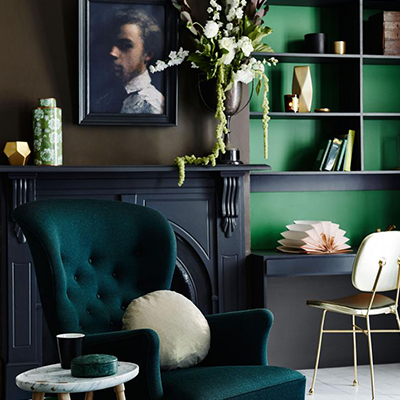 If you want to get bolder, consider painting your walls in a dark green shade. It might sound a little intimidating at first, but dark walls can actually add some much-needed drama to your rooms. Once Pantone announced that their Colour of the Year was Ultraviolet, it was only a matter of time before we started coming up with new ways to highlight this colour in our homes. Ultraviolet is a wonderfully whimsy shade that is perfect for adding a touch of brightness and unpredictability to your home. While dark purples are often paired with silver, ultraviolet is best accentuated with silver. When you’re looking to bring in ultraviolet to your home decor, try pairing it with shades from the same family as well as contrasting ones. Deep purples, burgundy and ultraviolet work seamlessly when paired with light neutrals, stark whites and of course, silver. If you don’t think you’re ready for such a bright colour, start out with small doses. You could add cushions in the ultraviolet shade, a carpet, maybe even a focal chair. If you love this colour beyond all reason, don’t shy away from using it to reupholster your furniture with or even picking this shade for a focal wall. If you thought 2017 was the year when neutrals reached their peak, think again. Neutrals are back again in 2018, and we have a feeling they’re not going to go anywhere. There are, however, subtle differences in the neutral shades that were popular last year and the ones that are picking up this year. While last year, neutrals were cool and crisp, this year they have a distinctly dusty hue to them. 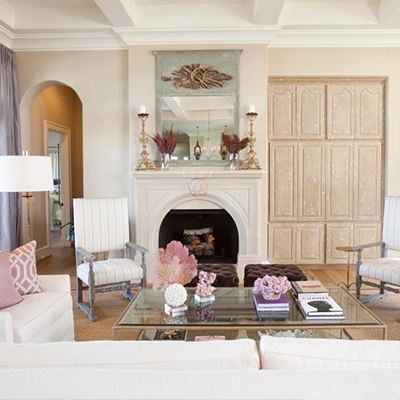 Dusty pastels, in particular, are going to become one of the most stylish shades for home decor. Dusty rose is a gorgeous shade, perfect to lend an air of comfort and softness to your home. 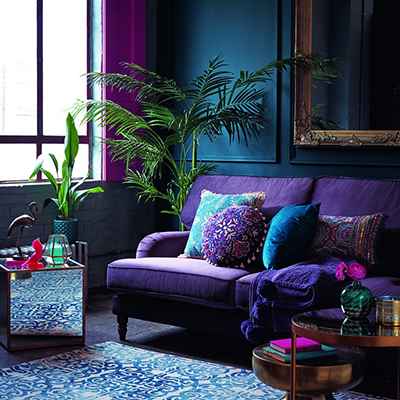 This colour works beautifully for upholstery, cushions, and accents. Greige is another neutral that is fast gaining popularity this year. This unique shade is a combination of grey and beige, resulting in a beautiful colour that works perfectly in almost any setting. Since it has both warm and cool tones, you can safely use it in along with any existing colour palettes in your home. 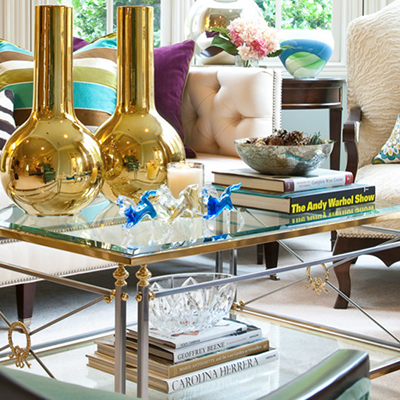 Nothing can add instant glamour to a room like beautiful metallic accents. If you can’t decide between the many shades of metal available, then add a little of each! Leave the old rule of not mixing your metals in the past, where it belongs. In 2018, tastefully combine your favourite metals for a look that is just as eye-catching as it is coordinated. Silver and gold are commonly used metals, but this year, look beyond them. Incorporate metals like copper, bronze and rose gold in your home decor for an instantly upgraded look. An interesting way to use metallic accents is to replace your existing light fixtures with metallic ones. Brass and copper light fixtures add classic elegance to your home and make your decor stand out. Metallics look beautiful with any colour palette, so make sure you use them in your look. These tips will help your home look the most stylish it has ever been. If you want an even more beautiful home to go along with your decor ideas, visit Lancor. Our spacious homes are set apart by their superior construction and luxury features, giving you the perfect canvas to build your unique look. Enquire with Lancor so you can spot your dream home and buy it.